The day dawned beautiful and sunny. With a slight breeze. Everything was packed or stacked ready to go and all I needed was to get my bag ready with camera glasses, hat and plenty of water. It was promised to be a hot one. Dad arrived and took my tables and gazebo in the ute and hubby and I followed in the car. 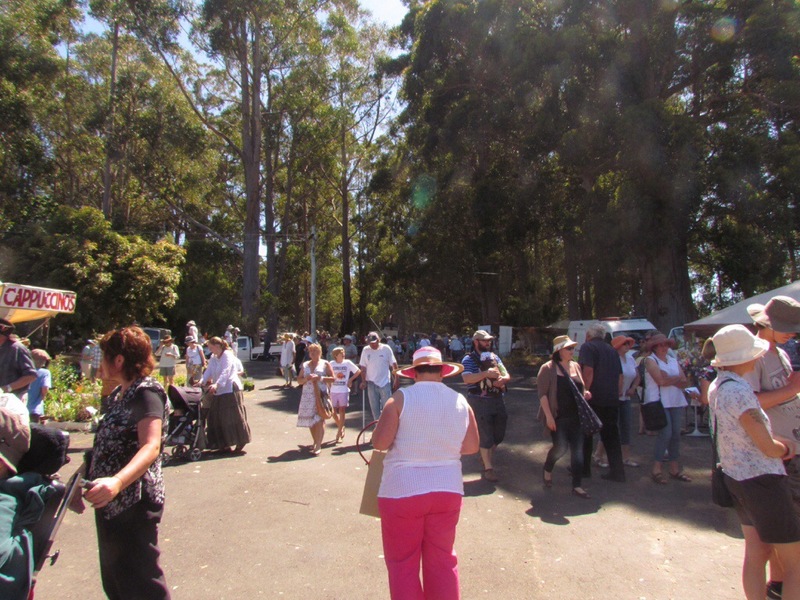 Mum was already there – we have stalls next to each other – and vehicles unpacked and moved. Gazebos set up and pegged the men left us to it, and I realised very soon on I had left my water at home. Bugger. Set up took a little longer than usual but not by much. And from then on it was busy. About 10 I felt the need for another coffee and breakfast but between myself, the coffee van (conveniently across the road again) and Jakob’s Pantry next door it was nearer 11.30 before I got to leave and get sustenance. A unit went down very well too. My decision to pack things differently this year paid off as it was so much easier – both at the beginning and end. 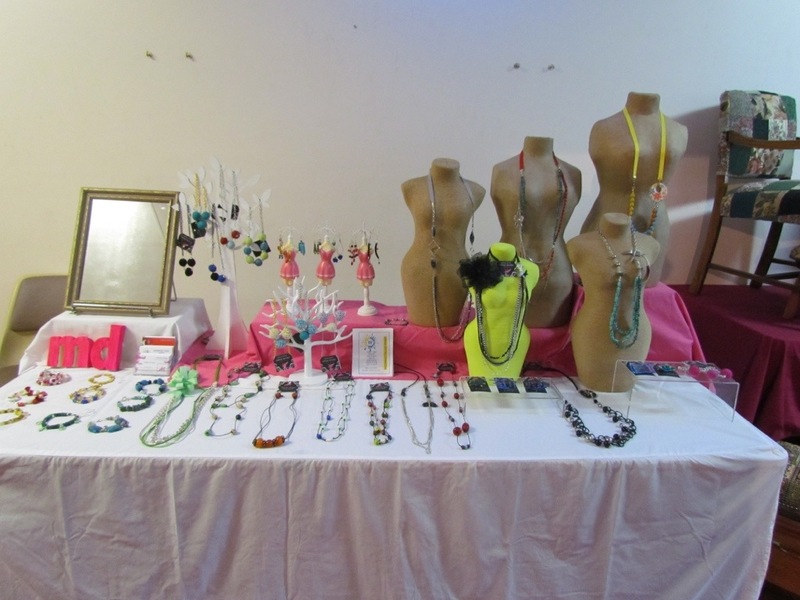 I was able to leave one whole table set up til the last minute rather than having 3 tables half packed up and looking messy. 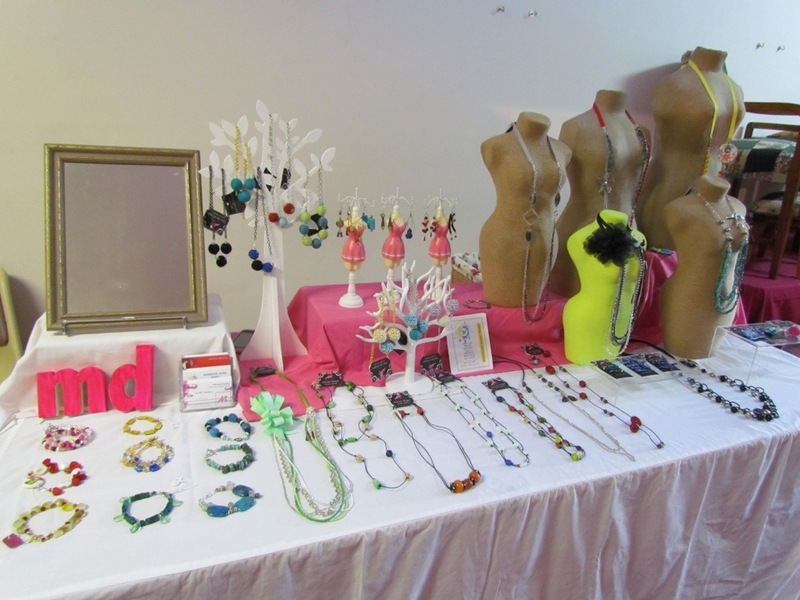 And one table – my bracelets and accessories – I’ve decided I will take to market next week. Quick and easy, but also full of fun little things available to everyone. I did learn one thing. Friendly plastic. It melts when it gets too hot. If you were wearing a brooch or earrings like I was, provided you aren’t just standing around in the full sun, they will be ok. Where they were on my table, they were in the full sun, and while not obvious, when I went to move them, some were stuck, and are subsequently ruined. A small price, and a timely reminder for next time. Overall my day was pretty good. I’d made back costs in the first half hour and the rest was, well, it’s what we want isn’t? Put it this way. I love full day fairs like this, and I got invited to go to another in early April. We’ll see what the email brings first. And off hand I’m pretty sure this year is the Channel art Trail, a 3 day exhibition of all kinds of artists selling their wares with some ‘working’ exhibitions included. 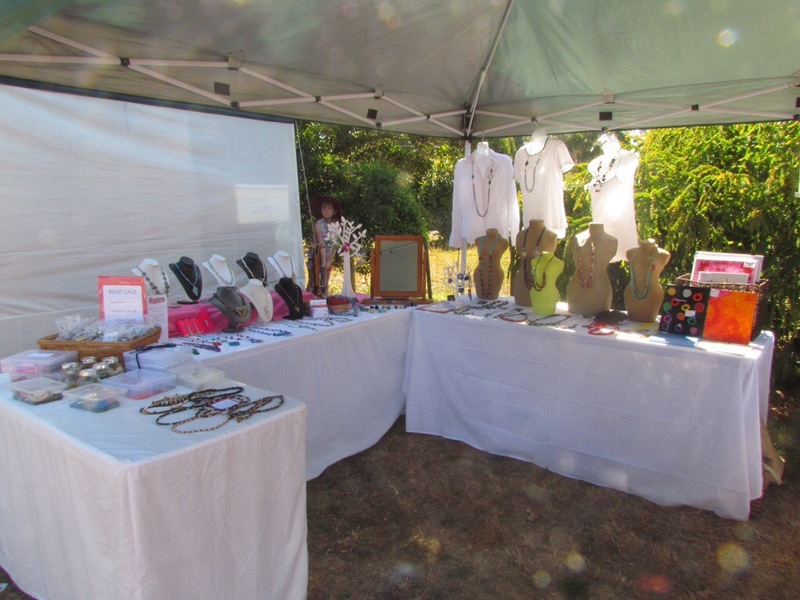 I am pretty happy with the layout of my gazebo, given I don’t do outside events often – jewellery tends to not like the wind – but I just love the opportunity to take lots of items and show off everything. One minor issue, the gazebo isn’t as big as I thought, so I can’t have the full layout and include the walls, as one of my tables was half out of the cover, but still inside the site markings. 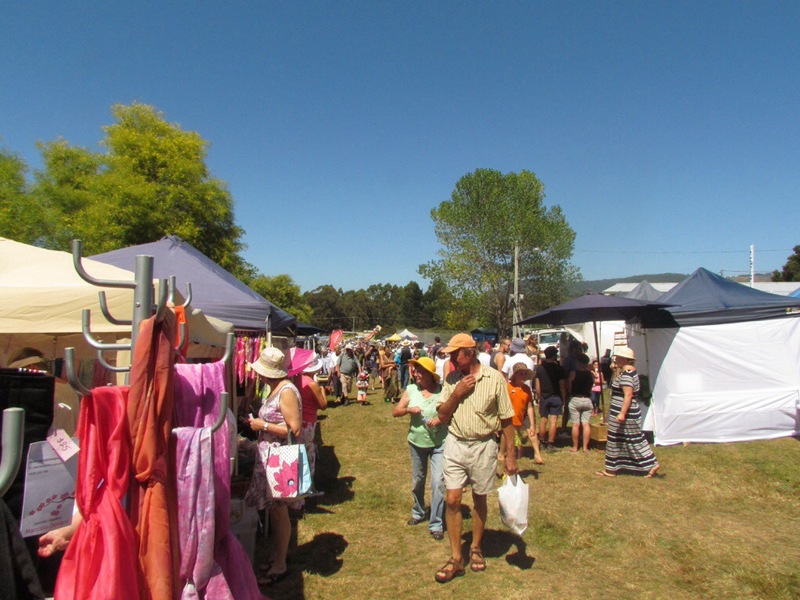 Another stall holder chatting told me about their verandah or awning you can buy to extend shade on the, but I’d be wanting to see if I can utilise it to add the wall to it as extra roof space. Did that make sense? And after looking back at the pictures, I need a much bigger banner, and more girls to hang. 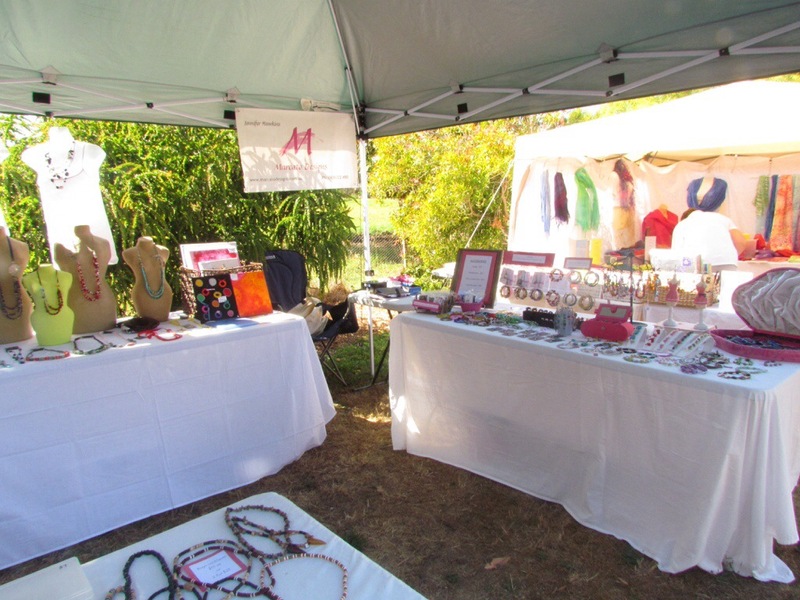 The banner I would like is a vertical one that stands out the front of the stall or the biggest horizontal one, which would cover half the width of the gazebo. And more girls so I can have a whole row along one side. Small steps and investments. After all, everything I own (beading wise, gazebo included) has come from beading money. Not bad when I look at it like that. What else? I saw heaps of people I knew, some I hadn’t seen for years, chatted with customers and had – as usual – a quick run around to see what else was happening, drank nice coffee, and ate beautiful lamb crepes and a cherry Danish. And lastly a couple of pictures of the Fair. 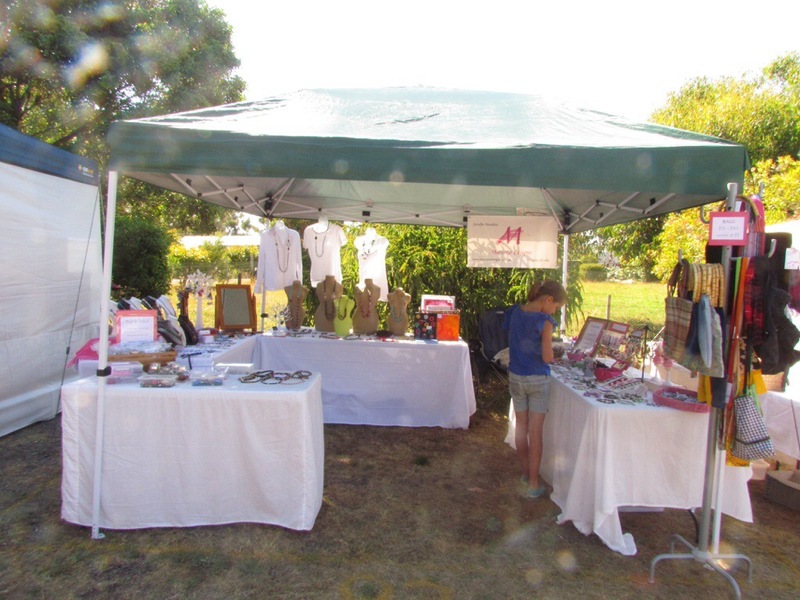 I know it doesn’t look much, but there were over 95 stalls plus all the other activities on show. From where I was, (my stall to my left) there are only 3 behind me, and the ground slopes downwards (south) for a couple of hundred metres. To the right of me are more stalls, the hall, and activities for the kids. Looking straight out of my gazebo. 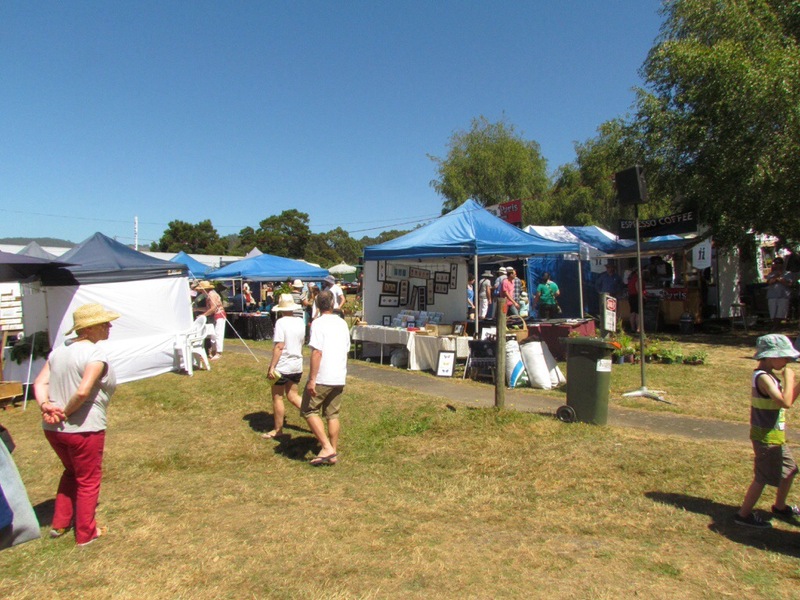 Facing north, (my stall on my right) and across the road are where they have all the animals and any demonstrations, like shearing. The road go’s straight through the middle and our house is at the top of the hill behind all those trees. A mere 500m away. A new year brings new possibilities! It has been way too long since I have been here. Not for lack of being creative, but from lack of time and organising myself to take pictures and post here. My own slackness for sure. But a new year is upon us. And I am taking up the challenge. A new year means new possibilities! My blogging resolutions for this blog are simple. Make it a routine to blog or at least post pictures twice a a week. Not hard. And considering I plan on being quite busy with creating, it should be fun. One of the first changes I’ve made is to change the theme of the blog. I wasn’t overly happy with the last one, so I have fallen back to one of my favourite themes. Simple, but not too crowded, and showcasing all/most of the pictures on the side. Another first for the new year will be to get baking onto a bit of sewing. 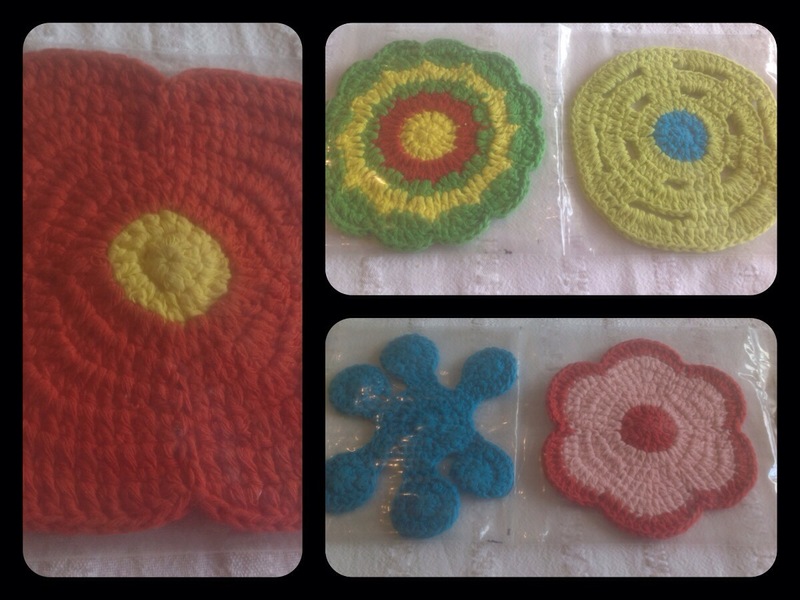 A friend gave me these awesome crocheted flowers/shapes. 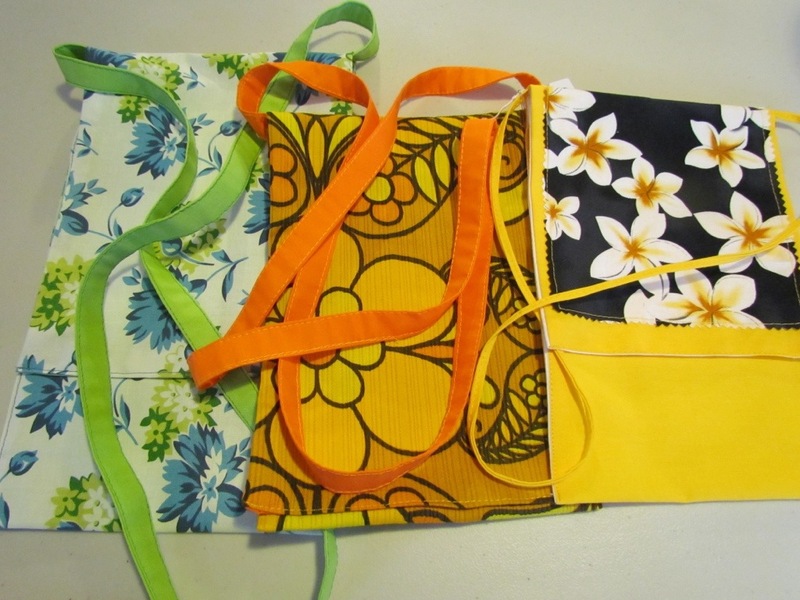 We thought they were coasters initially, but no, they’re designed to sew onto bags. So the vintage bag book will come out and I shall see what funky things I can make. Have a great new year and I look forward to posting lots of fantastic new makes, and lessons I’ve learned along the way. Today’s market stall. A few different things, and using my new busts and both trees. 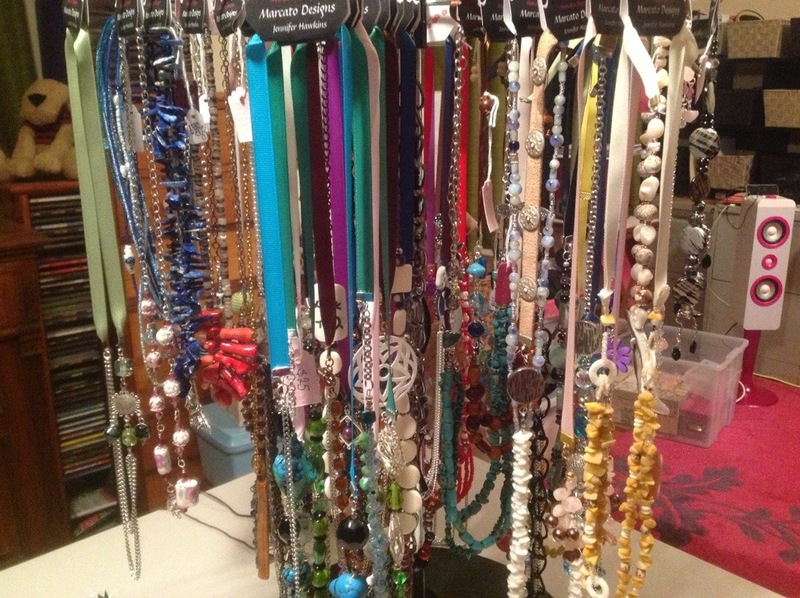 I have an order for a necklace so will make up several for her to choose from, I can easily put the others n the table. Lunch today is another fabulous pie form Moots in Kahoots – chicken leek and Brie. The sun is shining, and it’s nice and warm outside. As part of my new Facebook page I am going to have a weekly special. Each Monday – I will try really hard to make sure it happens on a Monday – I will post up the special for that week. There are different ways it will play out depending on my mood, the season (mothers day, christmas, valentines etc) and what I have in stock. 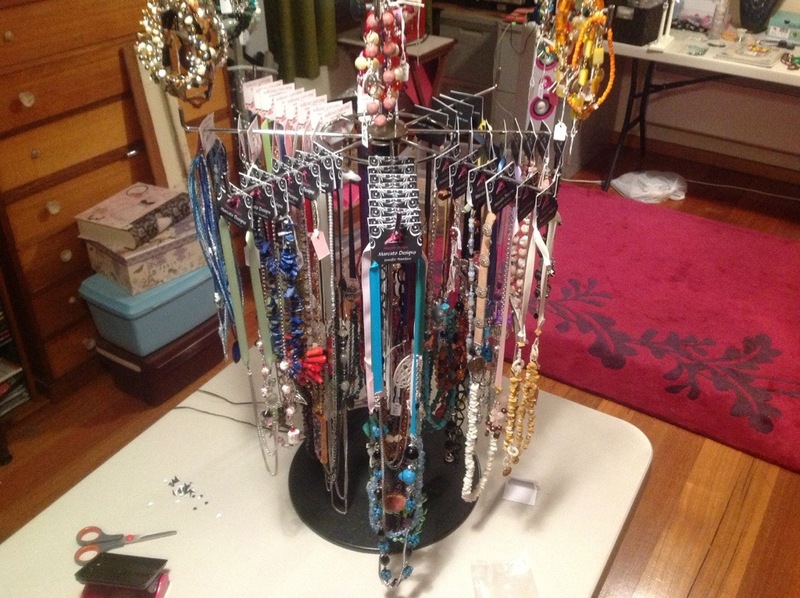 It may be an older item I will reduce, a new item I want to showcase at a special price pre website, a multi buy item (earrings generally fall into this one, 3 for $15 kind of thing) or maybe a discount code for use on the website but only available for those who like my Facebook page. As a friend put it, this will keep people interested, keep my page interesting and up to date while showcasing my product. The item or special for each week will be highlighted as my cover photo and there will be an album dedicated to the “Weekly Special”. I will post here and on Twitter on the Monday also that the special has been uploaded, and I would appreciate all shares of all my social media (FB, Twitter and this blog). I love what I do and love to share that joy of wearing something pretty and unusual, and that is yours alone with other people. Because jewellery is a very personal subject, and everyone has their own tastes, I can make up gift cards starting from AU$25. Pease email me if you would like one. Head over to my Facebook page – the new link is up and running – and check out my first weekly special. If the ‘special’ sells out (or single item sells) within 2 days I may look at doing a second special, but that will be my prerogative. Hi everyone, I have done lots of hard work this week and my website is nice and full again, and with a few new changes on the theme. There are still more things to be added though. 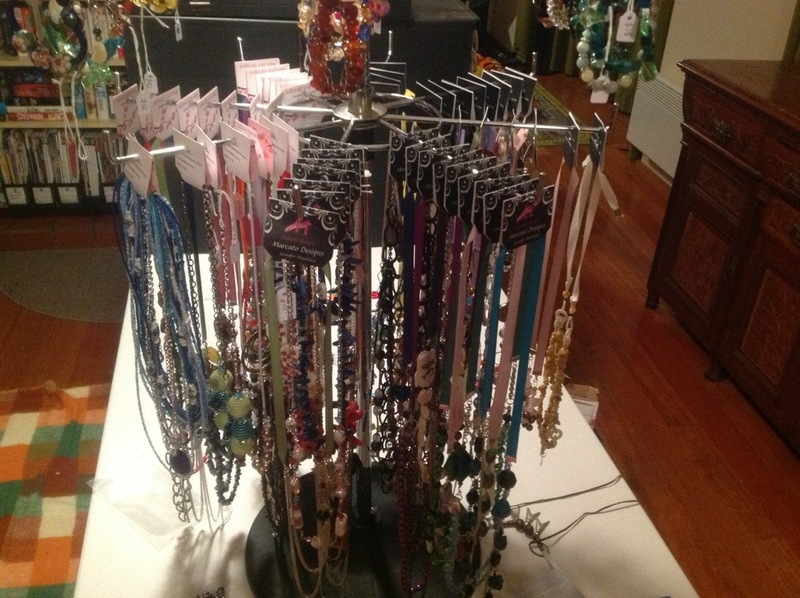 I have added lots of necklaces and bracelets. 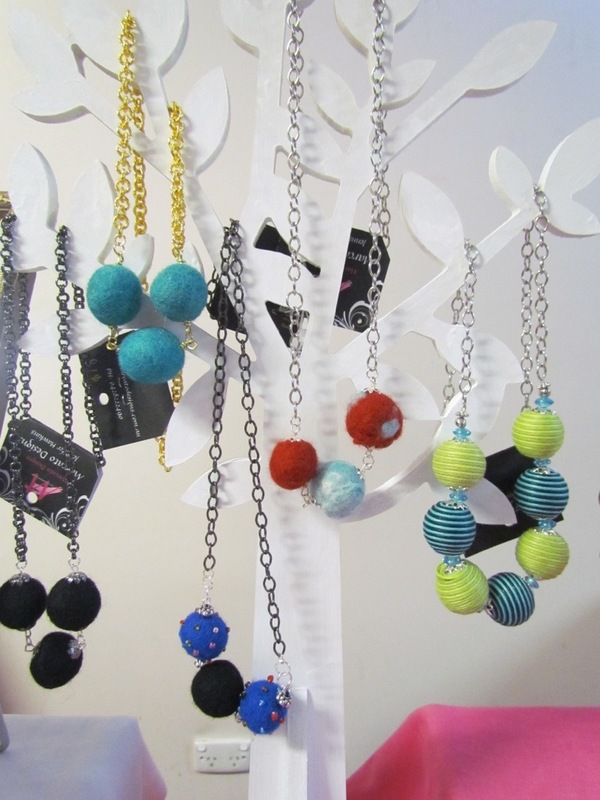 Earrings will be soon and over the next few days I’ll be organising a Sale or vouches to use. Please share with your friends and think about birthdays, Christmas even, Mothers Day… Or even just a gift to say I love you. I am also deleting my old Facebook page and starting a new one, (It will be basically the same name). I find the large number of likers quite ridiculous and misleading. I will elaborate on that further. I know, it sounds weird to get rid of something with so many ‘fans’ but I have my reasons. 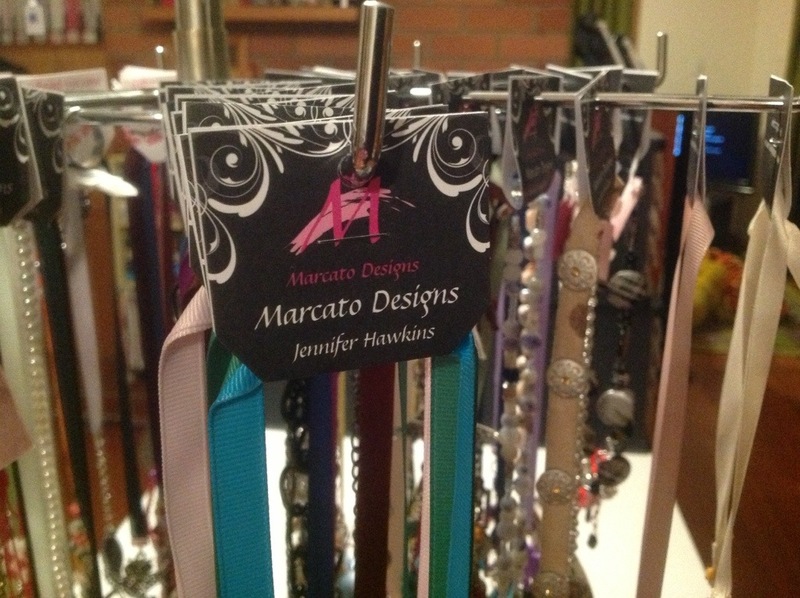 I’m in a bit of a muddle at the moment with four blogs, two fb pages and my markets and website to upkeep. And that’s without even thinking about the family side of things. While being able to multi task and be busy with many things, I do tend to be a bit of a one track mind and some things get left by the wayside til it’s desperate to fix them. That’s where I am now, oops. I will be taking some time off to get everything sorted. All my picture files and what I do and don’t have have on hand, getting the website loaded so I can hide and show items on a rotating basis to allow for markets and keeping all sites fresh. Fixing up the pages here with pictures of my market evolution, a price list page. I will be getting back into the UFO box as well as a basket of necklaces that are ready to be undone and re made into new items. 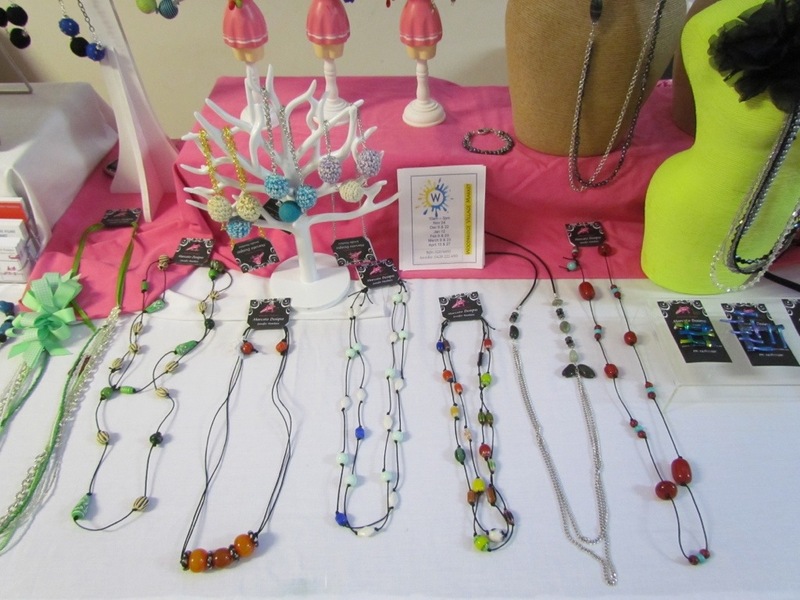 Sure they’re still nice, but they are old and haven’t sold, so the beads get a new lease on life. I will be posting things here on and off so please don’t stray too far. I am normally not too bad with words, and am not really an eloquent writer, but I hate it when I really want to find a word, and it just won’t show it self. It sits out there taunting me. Either that, or it’s on the end of my tongue which is why I can’t find it…..
From yesterday’s, or was it the day before’s post. I can’t remember. The last post I wrote I mentioned all the things I wanted to do. An hour or so this afternoon was spent with the laptop, going through all my blogs and fixing things up. I feel happy now that the ‘pages’ are all up to date, re worded as necessary, or written from scratch. My next job will be to sort out my website. 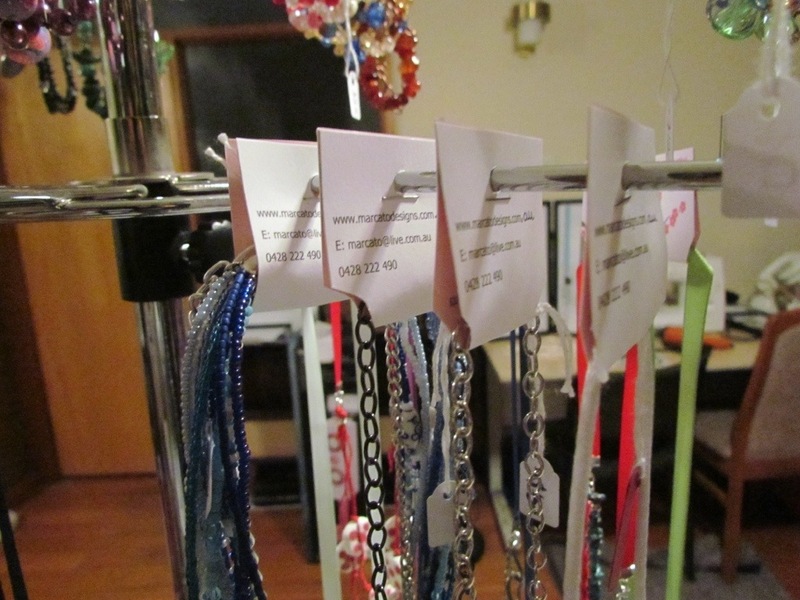 This will be time-consuming, but my plan is to work off the website when fixing the Facebook page and using it as a guide to what I upload and what jewellery items get tossed, changed or put on sale. (Part of FB is now sorted, sorted most and deleted some of my albums, that was the easy part). This brings me to the title of today’s post. I generally make one of each item. 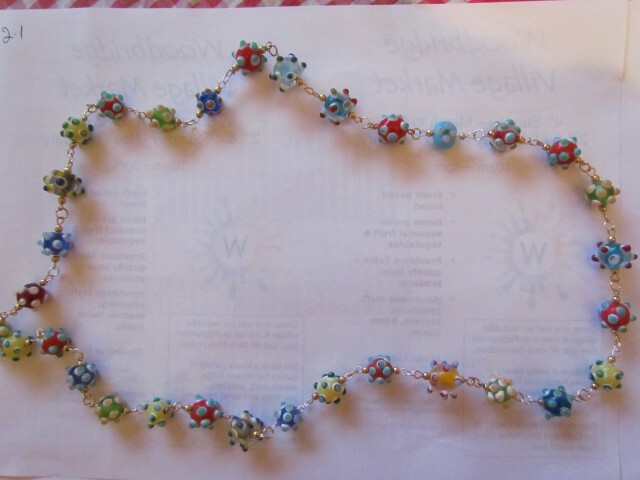 I buy beads to be used for one thing, or use up leftovers which means there is no easy way of replicating items. Sure, mass-produced or multiples of items are good, especially if something is popular, but I would prefer to cater to those that don’t want to wear what everyone else is, who are happy to have something that is a little different. Herein lies my problem. The wording of these such items. 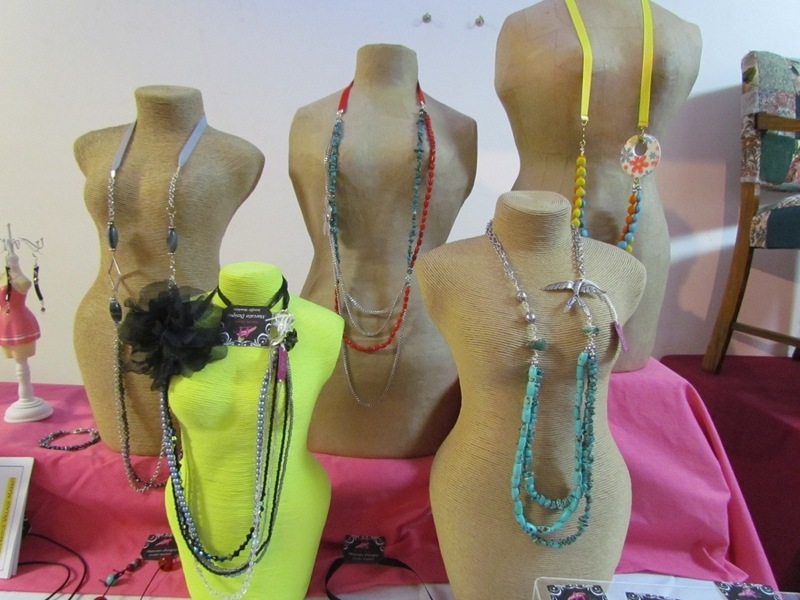 OOAK – one of a kind. It bores me. Everyone is now doing OOAK, and wording it as such – the abbreviation – it’s almost become passé, so yesterday, definitely NOT different. How can it be different if everyone is doing OOAK?? I would like to have on my website and Facebook page (even here) something that catches your eye, or makes you think ‘I’ve got to have a look at that’ when you hear/read it. Sure, I’m still doing items that are the only one of their kind, but I want a new word for it. My current catch-phrase is “a new way to express yourself” and while I still love this, I would like something to add to it. Say…. “A new way to express yourself (with) off-beat jewellery and bags” As I read this, off-beat is not the right word, and now crossed off the list. Even unique is getting to me like OOAK is.. gone from the list. I know this is the second thing I have asked of you my lovely readers and followers, in as many days, but sometimes when you’re stuck, fresh eyes can see things you’ve overlooked, or think of words that fit the bill. What would catch your eye, what words or phrases would make you take a second look?